At least two people were killed and several others injured on Monday when a bomb went off outside a court in central Cairo, state-run Ahram Online reported. The bomb exploded in front of the main gate of Egypt’s Supreme Court, near the prosecutor general office, injuring at least five policemen, the report added. Egypt has witnessed a surge of bombings after the military ousted former Islamist President Mohamed Morsi in 2013. The Islamists have vowed to take revenge on the ensuing security crackdown on Morsi’s supporters which has left nearly 1,000 people killed and thousands facing trials. 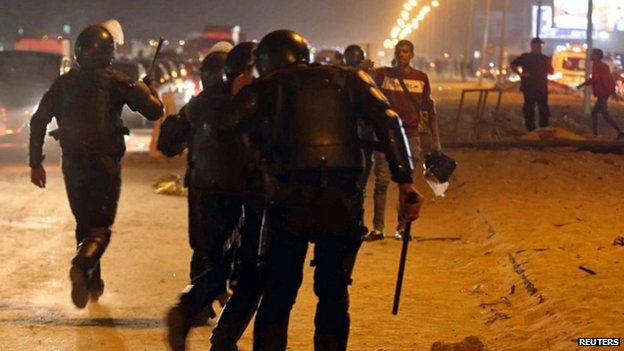 The anti-security attacks, which were launched mainly in Sinai Peninsula, have crept into the capital and other cities, in which hundreds of police and army personnel have been killed.